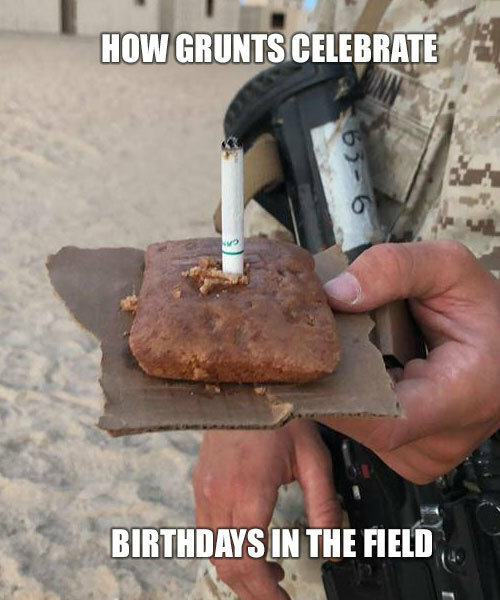 I know little about military culture, so I was interested to read recently a We Are the Mighty blog offering several reasons troops don’t tell others its their birthday. The reasons definitely reinforce my idea that being part of a military unit can be a lot like having several unruly siblings. The first reason to avoid sharing your special day? “Your gift is embarrassment.” U.S. Army veteran Eric Milzarski, who was deployed to Kandahar, Afghanistan with the 101st Airborne Division as a radio operator, tells us that the company might sing to you but only with the intention of making you feel awkward and embarrassed. Second, the surprise party in the training room is highly unlikely. 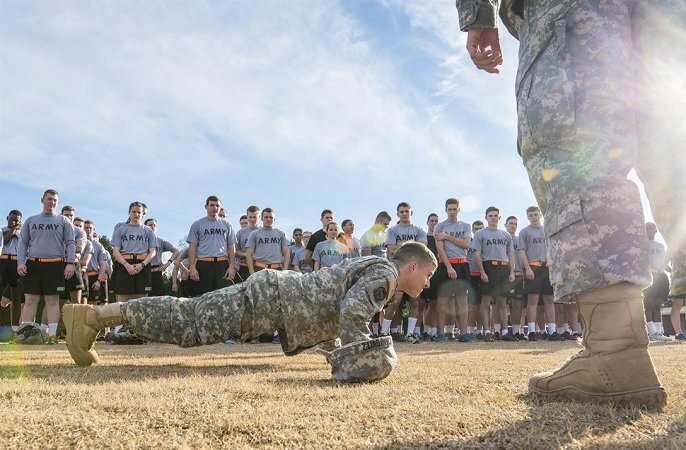 Instead military personnel will be expected to do push-ups for every year they’ve lived. At least, Milzarski tells us, if you are able to get out with some of your unit to a bar, you’re likely to see a few free drinks — and you’re with a bunch of people who can get you home from the bar safely too.